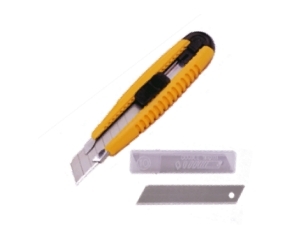 Utility Snap Blade Knife. Heavy duty Plastic Outer with steel interior for extra strength. Length can be adjusted and locked in place as required. When the tip blunts or blade dulls, just snap off the end to reveal a new sharp blade.